Ryde Carnival is an all-inclusive and joyous parade of colour and light marking the end of summer. We put on three Carnivals each summer from late August into early September. The first Carnival is the afternoon Children’s Carnival, then we have the early evening Main Carnival and finally the late evening Illuminated Carnival, which is the last carnival to be held each year on the Isle of Wight. All our carnivals are run by volunteers and are FREE to attend. We raise money all year round to put these carnivals on, but if everyone watching put just £1 into a collection bucket we would have all the funding required for the following year. 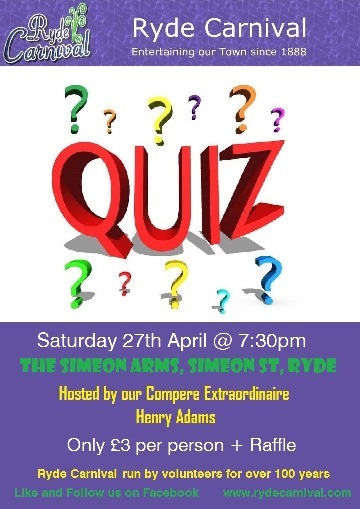 We’re having a Quiz Night on Saturday 27th April at The Simeon Arms in Simeon Street, Ryde starting at 7:30pm and it’ll be hosted by our very own Henry Adams. It’s only £3 per person to enter and there will be a raffle at the end. All profits will go towards this year’s carnivals, so please come and show your support. 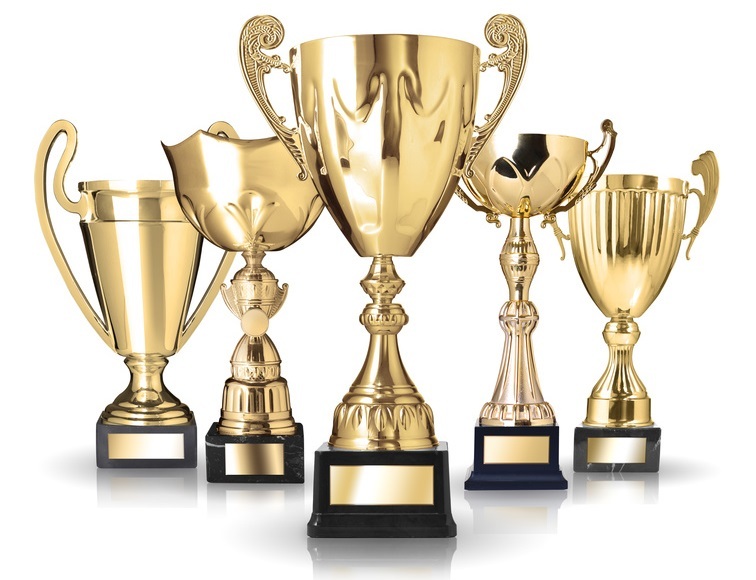 Yes, it’s that time of year already when we need all the Carnival Cups to be returned so we can polish them and get them ready for the 2019 winners! 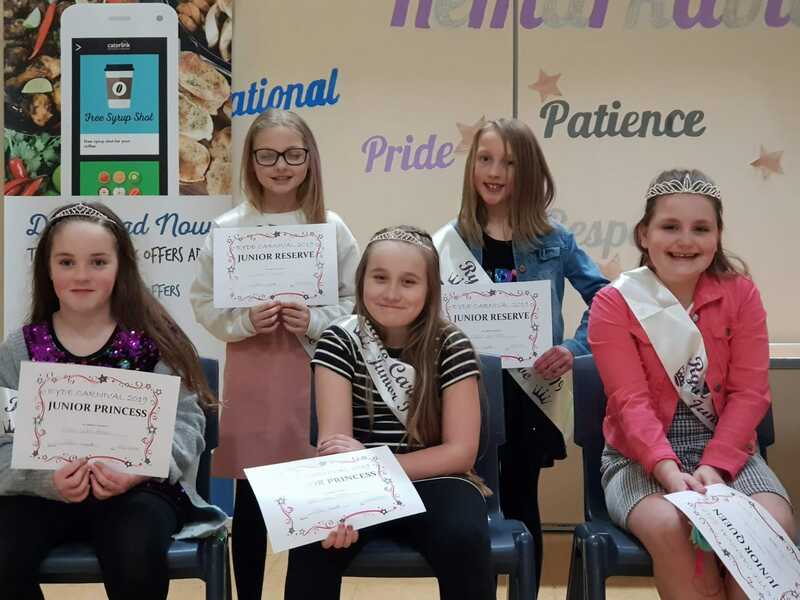 We had our annual Ryde Carnival Queen’s Team Selection evening at Ryde Academy on Saturday 23rd February. 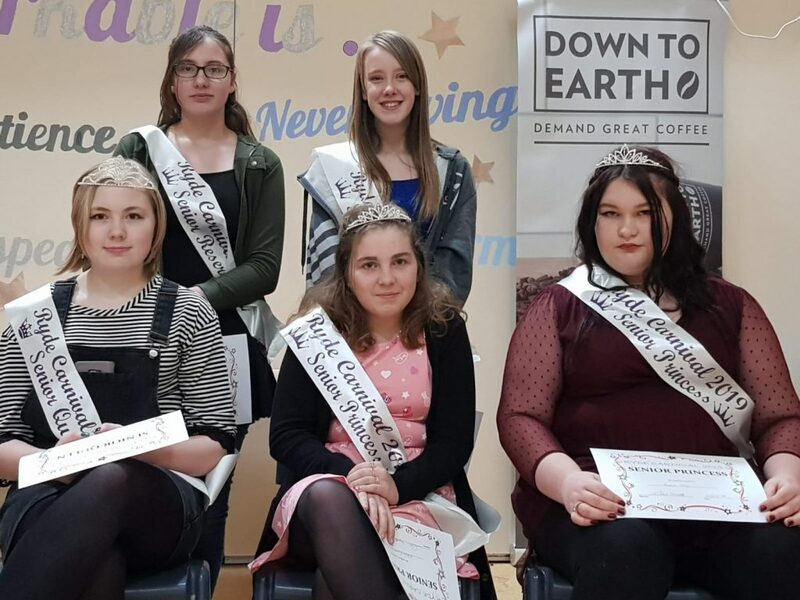 There was a lot of dancing and some very difficult judging decisions to make! A huge thank you as always to Liz from “Splash” (57 Union Street, Ryde) who very kindly provided the tiaras for the Queens and Princesses to wear. Congratulations to the Queens, Princesses and Reserves. Everyone else who came along will still be joining us for Carnivals as part of the Entourage. Let the fun begin! Please let us know via email if we have spelt any of your names incorrectly. We are always looking for volunteers to help with the running of our three carnivals.